Would you like to learn about high availability, scalability and distributed cache management using Microsoft platform without getting all cloudy? Windows Server AppFabric is a set of application services focused on improving the performance and management of Web, Composite, and Enterprise applications. AppFabric provides a highly scalable in-memory application cache for all types of data. With the caching features of AppFabric you get Scalable in-memory, distributed cache for any serializable data, Seamless integration with ASP.NET, High availability and dynamic scale-out of cluster nodes, Optional local cache with eviction policies and cache change subscriptions and notifications. In this demo-centric session, we will cover end-to-end implementation of a web solution using AppFabric for caching and session management. Intended audience include web developers who want to build high performance applications leveraging web programming techniques (e.g.ASP.NET, MVC, RESTful services, etc) and enterprise developers who create service oriented middle tier applications using .NET. Heard about Windows Azure, but haven't tried it out yet? This session will introduce you to the basics of Windows Azure and the tools you need to get started using it! SQL Azure does not currently support full-text indexing. In this talk, we will walk through the use of Lucene to provide full-text search capabilities. In order to design great cloud solutions architects need to understand the design patterns intrinsic to their cloud platform. In this session we will review the design patterns inherent in the Windows Azure platform services, followed by a discussion of application patterns for combining those services. Design patterns will be reviewed for compute, storage, relational data, communication, security, and networking. Key patterns will be illustrated with application examples. Unit testing has become a industry wide best practice. But many Microsoft technologies propose quite a challenge when attempting to unit test them. This presentation covers the core concepts of the MVVM model. The purpose is to provide the audience with a clear understanding of MVVM fundamentals, goals, and its application. While there are differing opinions in the industry of where the boundary lines of the model are drawn, this presentation will provide fundamental rules to guide these decisions. What do programmers really want? Do you work at a great or bad company? Are you frustrated with your job? Are you stressed out to the point your head wants to explode? What can be done about this and more subjects? Attend this session and find out the answers from your fellow geeks. This will be a highly colabriate session and you are guarenteed to learn a lot! Hosting and deploying node.js applications with nodester. F# is functional programming language. Originally, developed by Microsoft Research, it is fully supported by Microsoft Development Division in Visual Studio 2010. Presentation will provide overview of the functional programming techniques and demonstrate them using calculator parser. Attendees will be able to experience functional style development. Learn how to use Express, the popular MVC framework for Node.JS to build production web applications for Windows Azure. You'll learn how to work with the Jade templating engine to create views, work with Azure Table Storage, authorize and authenticate users, process form data with Formidable, and more! We will demonstrate how you can quickly and easily add multi-channel communications to your applications to send and receive SMS text messages as well as place and receive VoIP, SIP-based, phone calls with the Voxeo's Tropo API and Phono using PHPFog a cloud PHP platform or Windows Azure. In addition we will touch on using the Phono Mobile SDK and Phonegap to create native communication applications on IOS, Android, WP7 and other Mobile Device platforms. More information on Tropo can be found on the Tropo Website. Check the Phono website for more information on Phono and the Phono Mobile SDK and information on Phonegap can be found on the Phonegap website. Information on the PHPFOG cloud based PHP Platform and Windows Azure can be found on their respective websites. You can find the presentation for this talk here! BI/Big Data Futures - Is it really all about the Cloud? In this survey session, Lynn will bring you up-to-date on what's happening in the world of enterprise Business Intelligence. BigData, NoSQL, Hadoop, Big Analytics, Cloud Storage, what does all of this mean to you as a data professional? Which products and technologies are mature enough for enterprise adoption and which ones are not? Which vendors should you be trying out and why? What is the reality of hosting enterprise data on the cloud? What are the business reasons to explore these new technologies? How do you learn to implement them? Lynn frames this talk with the three major trends that she sees in the Enterprise BI space, highlighting products and technologies that warrant a deeper look. You use your brain for thinking. You use your brain for remembering. As software professionals, most of us have spent a lot of time teaching ourselves to think with greater clarity and efficiency, but how much time have you spent improving the other side the equation? Any good hacker knows that the key to truly mastering something is to understand how it works. In this session, I’ll share some of what is known about how memory works, drawing from recent advances in science as well as rediscoveries of memory techniques that have come down from antiquity. I’ll then show you how you can commit information to memory in a fraction of the time you currently do. I’m not interested in memory based party tricks – I’m interested in being able to use memory confidently in day to day situations. I’m interested in improving our ability to learn and use information. After this session, you’ll be able to use your memory with confidence, soaking up and storing information with ease. Today multithreading is a given. Here are some practical gems to help. Synchronization, cancellation, error handling, parallel aggregation, concurrent collections, using the non-reentrant Random class, PLINQ techniques, etc. Very fast-paced, C# code-intensive, and practical. This is a high-class Bearman & Halperin presentation. With the help of WCF RIA you can write cool application for Health Industry, You can simultaneously call different database and combine their result and display transparently, this session we will take a closer look into development issues and also try to build hands on concept application. The Windows Embedded Compact operating system, formerly known as Windows CE, was introduced to the market in 1996. Initially, this small footprint OS was designed to support portable handheld-computing devices. As this technology evolved, it was adopted as the platform for PDA (Pocket PC), portable media player (Zune), Smartphone (Windows Mobile), GPS navigation and broad range of other industrial, commercial and consumer device. A typical embedded device is designed to deliver a set of designated function, delivering service the device is specifically designed to do. Different from the general PC, most embedded devices are designed not to allow the end user to install addition software to the device or modify the device’s existing software. Most of the embedded device is promoted based on their function and service objective. Different from the general PC, many companies that built embedded devices using Windows Embedded Compact promote their devices based on the function and service the devices deliver and do not present their devices as Windows Embedded devices. Often, the end-user using these Windows Embedded devices for years without knowing they are actually using Windows Embedded Compact devices. In addition to changing the computing industry, the way we communicate, the way we search for information and etc., the Internet creates a whole new horizon for embedded devices… Which we refer to as “The Internet of Things”. One of Microsoft’s key advantage and strength is the ability to deliver and maintain developer friendly and productive development tool, Visual Studio. With Windows Embedded Compact, you can develop real-world application using the Visual Studio IDE and write native or managed coded in C++, C# and Visual Basic. In this 45 min. session, 5~10 min. is allocated to deliver a brief introduction to Windows Embedded and the development environment, the remaining time is allocated to show two hands-on examples, a managed code application accessing the serial port and a Windows Network Project device. In the embedded world, it’s common to interface/communicate with other device via the serial port. As part of the Windows Vista and Windows 7 operating system, Microsoft included the “Connect to a Network Projector” utility, which you can use to connect to a Windows Network Project device to show your PC desktop through a Wired or Wireless network connection. This session covers the best-practices to build, customize, and maintain self-hosted WordPress websites. Topics include Basic Concepts of WordPress, Creating Posts/Pages, Custom Categories, Editing Menus, Installing Plugins, and more. In this session, we will try to cover most concepts in writing better T-SQL, by taking cues from the audience on what are the pain points they currently have with SQL, and working those out. We will also cover how to understand complexity in T-SQL, and how this can be reduced. Introduction to SQL Test Driven Development (TDD) using SQL Server Management Studio (SSMS). Introduction to SQL Test Driven Development (TDD) using Visual Studio 2010. A lot of work has been done of the the years with Test Driven Development. With new test runners on the market for SQL, we can now start to bring TDD into SQL. This session will be using Visual Studio 2010 for a Database Test runner. and finally, how to use SQL, through patterns, for your daily life outside of work. Reflection is incredibly powerful and critically important in modern .NET development. We will use reflection to determine objects' types at runtime, construct classes dynamically (even with parameters), and invoke class methods. Reflection is useful in dealing with data, and we will use reflection to synchronize data across classes automatically. Using reflection and generics, we'll build a Factory Method for constructing classes. This is a high-class Bearman & Halperin presentation: broad, deep, and practical. There are quite a few things that you can do with Azure that aren't openly advertised or included out of the box. But if you have played around with Azure or even if you have deployed a project, you might be interested to learn about some of the things that are possible with a little bit of ingenuity. Things like scaling two roles down into one, hosting different web sites for each customer on the same set of instances, and avoiding VM Roles by utilizing startup tasks. We go through some of my life/career lessons on what to do and what not to do on starting a startup and tips on how to be succesful. I will be making all source code and slides available the day of the session. My sporatically updated blog is at: http://therockncoder.blogspot.com/. • Contracting at the cutting edge of technology is exciting and produces great rates. But what happens when the contract ends and the mortgage payments must continue? • Maintaining a steady job with a direct deposit salary is comforting. But do you ever feel technologically “stuck” at your job when so many other IT professionals are learning and using the latest, most marketable technologies? In this seminar session, you will learn multiple IT career strategies for maximizing both the Love and the Money of your multidimensional IT career. We’ve all had an idea for software that’s a “revolution around the corner”. But when it comes to fleshing out ideas, and getting them to market, there are practical limitations. Having taken hundreds of apps, big and small, to market before the competition could get there, get insider tips on how to get past the barriers so many of us encounter without losing the innovation. We’ll look at Sojourn, Cynergy’s Windows 8 Metro interface to TripIt, discuss the app from concept to implementation and also delve into making good technology choices to help your app go quickly from concept to production. SQL Server 2012 promises to be another milestone in improved performance, security, self-service BI, and migration to the cloud. Among the enhancements in SQL Server 2012 are 14 new functions in T-SQL as well as SQL Server Data Tools (SSDT) and the new talk of the town: "AlwaysOn!" Additional topics within the presentation will cover different viewpoints of DBAs, Developers, and IT Managers, both before and after the decision to upgrade to SQL Server 2012 and required planning steps. 4) How to select the appropriate datastore - high replication (noSQL), mySQL, etc... and how to include data with your application. You'll walk away with a great start in understanding how to work with Google's cloud for developers. You might get the presentation materials from http://weblogs.asp.net/lichen. You might get the presentation materials at http://weblogs.asp.net/lichen/. Getting in the zone is harder to do these days with the infinite sources of distractions that are readily available. In this talk, I’ll give you a framework, tools and actionable tips to help you become more efficient, both in work and play. I will draw on my experiences as a family man, college student, developer, business owner, employee and manager using techniques I’ve learned reading countless books and articles in the area of “Productivity”. The end goal is for you to have the focused time needed to do the things that you are passionate about, whether that be writing awesome software or spending more time with friends and family. Top 10 Dysfunctions Using Scrum - Don’t Shoot the Messenger! Organizations recognize the need to become more agile; to respond to the needs of their customers and to be more competitive in the marketplace. Yet they have tolerated inefficiencies and impediments for years. They have embarked on adopting Scrum but struggle with half-hearted less than fully successful implementations, often falling back on old habits when the going gets tough. Scrum quickly identifies these inefficiencies and impediments and requires their resolution. So work on fixing the real problem, don’t shoot the messenger and try to change Scrum. This session will discuss a top ten list of common dysfunctions using Scrum and help you deal with them effectively. This session will discuss branching and merging with Team Foundation Server and Visual Studio ALM 2010. We'll begin with a quick overview of the TFS source control system, then explore several strategies for managing project source control. With even moderately complex projects it is far too easy to create a tangled ball of confusion by branching without a clear strategy. We'll cover some basic branching structures that can be applied to most of the common scenarios to help untangle you. What happens when the web meets the cloud? The modern web (HTML5, mobile devices) is revolutioning the front end and our experiences, while at the same time the cloud (cloud computing, social networks) is revolutioning the back end. Putting them together gives you web-cloud applications that can run anywhere and everywhere. In this session you'll see how to create solutions that are "mobile & global" by combining HTML5, mobile devices, and open standards on the web client with the MS web platform, Windows Azure cloud computing, and social networking on the web server. We'll progressively develop a "mobile & global" application in 7 steps, starting with design comps and ending with global deployment on 3 continents. How do you find the right opportunity? What can you expect from your new employer? This presentation will give you an overview of working at startups, including how to find the jobs, qualities hiring managers are seeking, interviewing, negotiating compensation and more. Windows 8 provides many powerful ways to consume and share data. We will cover how to integrate with live services, devices, sensors , and sharing data with other applications. This session is a first look at Metro Style apps. We will go over the environment including the WinRT and Process Lifetime Management . Demonstrate a simple Metro style app using Xaml. Learn how you can monetize your app via the Windows Store. There are way too many overly complex Model View View Model (MVVM) design patterns and libraries in the development world. How is a programmer that is new to Silverlight, WPF or Windows Phone to ever learn how to use MVVM quickly and easily? This session will guide you step-by-step on how to take advantage of this powerful design pattern. You will not have to learn any of the MVVM libraries; instead you will see how to use your own classes to implement MVVM. The main goal of MVVM is to help you develop code that is testable and re-usable, and this can be accomplished by just using a simple approach to MVVM. You will walk away with some great base classes that will help you incorporate MVVM into your XAML applications. Your boss has asked you to recreate your ASP.NET or Desktop application as a Silverlight or Windows Phone application. However you know you now need to use a web service to accomplish this. How do you take your existing 2-tier application and convert it to a service-oriented architecture? This session will present a step-by-step approach to converting a 2-tier application into a WCF service application. You will learn the steps you take and see why you want to take advantage of this powerful architecture. Each step will be explained as to the how and why you need to do that step. You will learn where you should, and where you should not, use WCF in your applications. At the end of this session you will have the steps you need to migrate your existing applications to an asynchronous, service-oriented architecture. The techniques for building applications have changed dramatically in the last few years. Gone are the days of single-tier, battle-ship gray, boring user interfaces. Users demand that your applications (or portions) run on more than one device. This session will take you on a tour of how you should be architecting your application by breaking it up into services. You will learn how to create your business rules and data layer as a service. This seminar will assume you have some knowledge of .NET but have been developing applications the old way and you are now looking to see how to use WCF and the Model-View-View-Model (MVVM) design pattern to create applications that can be run one more than on user interface platform. This session has many demonstrations and you will be led step-by-step through the code. You will walk away with a sample set of services that run on Silverlight, WPF, Windows Phone and ASP.NET. Interest in the Windows Phone 7 platform is growing quickly and the need for apps is increasing faster still. However, not everything related to a consumer's Live profile is available on the phone natively. On Dec. 7, 2011 Microsoft released a new Windows Live SDK which allows access to Calendars, Contacts, Documents, and more. We'll be walking through the SDK and learn how to implement calls to Windows Live in order to support the rich functionality desired by consumers of Windows Phone 7. In the footsteps of Da Vinci, Edison and Jobs, leadership skills for innovating. Let's explore your options for discovering your path. Deep down you know that You have more to contribute. Break out of the cubicle and head for the boardroom. Let's explore the obstacles and opportunities for any CodeMonkey to get promoted. Get the real HTML5 story. Is this technology worth pursuing? Is it feasable to learn or upgrade your site with it? Should you be cautious of browser issues? This session has been a crowd pleaser to all, and has been delivered to developers all around the world. The session concludes with amazing resources to get you started - should you dare embrace HTML5. The presentation will begin with a quick introduction on the main Lean Startup principles like the concepts of Uncertainty, Minimum Viable Product and the Build_Measure-Learn loop. Using this as a basis, the presenter will demonstrate some experience on applying these principles for other software environments besides Startups. And them, the presenter will expose an adaptation to the Agile Development process called the User Driven Development, where she will explain why we should get rid of the Product Backlog and why we should exchange the Stand-up meetings to the Improvement Meetings. At the end, the presenter will show examples on how to apply the end user language inside the source code and why it can save maintenance expenses. Lean Startup practices, like Minimum Viable Product and Build-Measure-Learn loop, applied into the Agile Development process. Why we should get rid of the Product Backlog. How to define, plan and prioritize tasks based on the software usage metrics. Why Stand-up meetings are a waste of time and what to do instead. How to and why apply the end user language inside the source code. In this session we will be looking at the SQL Server table partitioning features which were introduced in SQL Server 2008. We will look at how to create partitioned tables and indexes as well as the internals of the table. We will also look at how to move data from one partition to another and from one table to another with minimal to no impact to the users. RDBMS getting you down? Come experience an alternative! In this 2 part session we'll learn how to install, create and use MongoDB. ( see MongoDB.Org) . You will gain valuable insight into the key aspects of the NoSql approach and hands on demonstration getting you up and running quickly. Yes, I know, it's pretty much like the summary. This talk will bring you from concept to release of a game using agile and lean approaches to get get a relatively large number of users in a small amount of time. Then keeping your users happy when you get them. Games you create can make it out to market and start generating at least a small amount of money. I originally created this process for other people to use when I decided to present it at the So Cal Agile Open 2011. Currently my wife and I have 3 games on Android market as well as an Augmented Reality app used to Aid Colorblind people. I am the only programmer and she is the only artist. Collectively our apps have over 60,000 downloads, and we used the methods described in this talk to get there. In this session get all of your questions answered on video creation, rendering and deployment of videos for use with apps on the Phone 7. What size do I render it as? What editing tools do I use? What player do I use? How well does it play with WI-FI? How well does it play over the cellular network? How do I use IIS Smooth Streaming? How do I encode for IIS Smooth streaming? How do I encode to take advantage of the built in CODECS on Phone 7 devices? Join Russ in this informative session to answer all of these questions and more! Microsoft provides two great approaches to developing web applications: ASP.NET Web Forms and ASP.NET MVC. In this session, you will learn the advantages and disadvantages of using ASP.NET Web Forms or ASP.NET MVC for different application scenarios, as well as what both approaches have in common. In addition, you will get an overview of how to architect web applications to minimize these differences. Whether you are new to ASP.NET development, or have been developing web applications for a while, this session will help you decide which approach to use on your next project. While the Managed Extensibility Framework (MEF) makes it easy to write extensible applications, it brings new types of failures that can be difficult to diagnose. This session will provide background information on why MEF can fail, and then dive into some examples of failed MEF composition and resolution. We'll look at the tools available in MEF by default, two open source alternatives, and new diagnostic features coming in MEF 2.0. Finally we'll see how to use the ApprovalTest library to create an automated integration tests that takes advantage of MEF diagnostics. Nokia will be bringing 100 million users of Windows Phones. Are you ready to develop your Windows Phone App and submit to Windows Phone Marketplace and watch cash rolling in millions? In this session, I will share basics of Windows Phone Marketplace and then share numerous ways to make money in Windows Phone Marketplace and also development tricks to improve those odds of becoming next successful application. A lot of software projects have disappointing results: missed deadlines, buggy software, escalating costs, feature cuts, loss of customers, etc. The problems that cause these results plague a lot of us. If you are following an Agile approach but the results are not what you had hoped for perhaps you need this session. If you are frustrated and things are not getting better - or if they are getting better but you want them to be a LOT better, then you will not want to miss this session. A lot of the failure in software development, including on "Agile Projects" is the result of harmful practices and processes - which are often adopted because of a misunderstanding of what our real goal should be..
My observation: People are trying to solve the wrong problem(s). Typically they are either trying to “solve” symptoms and not a real problem, or they have a mistaken understanding of what is important. This leads to waste trying to solve irrelevant or non-existent problems. Until this is addressed, the process we follow isn’t the critical issue – unless we can find a process or set of guidelines that will help us expose and deal with real problems. We need a way to ruthlessly track down and fix our misconceptions, and we need to be good at this. My goal is to help us see that “We have met the enemy, and he is US” – [Pogo, 1971, Walt Kelly]. I probably won’t be able to do that, but you gotta have goals don’t you?… or do you? Let's see if we can move toward a better understanding of the real problems that need our attention. Woody Zuill is a software developer, development team manager, and Agile expert. He has had numerous successes and plenty of failures using an Agile based approach to solve real problems in software development efforts. He continues to learn from his mistakes. Agile/Scrum in the "Real World"
Ever wonder how to make an app for the iPad or iPhone? Install Xcode on your Mac, or your friends Mac and make your first iPhone app in less than an hour. Learn the basics of making apps for the iPhone and iPad and have fun doing it. A discussion of the movie "Thrive - What On Earth Will It Take"
The documentary "Thrive" is recently released (11/11/11). Please watch the trailer and the full movie HERE. Many, including session's presenter/moderator, have been following various advancements and world issues along with the BIG picture of what is going on for years. Many of us believe that when we follow the money upstream (as is done in the movie) we lift the veil (and get a better understanding) of what is REALLY going on in our world. This session is intended to put a collection of potentially new information in front of local software developers with the idea that our creative, analytical, and solution-oriented minds can bounce around concepts for our mutual benefit and understanding. 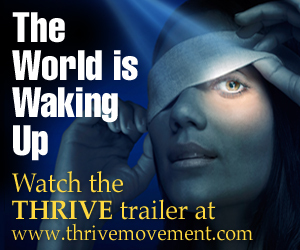 Watch the full movie... and come with your questions, comments, and observations for a thriving discussion about "Thrive"! The case for online identity has been present for as long as there has been a need to customize a web experience for an individual person. From OpenID to BrowserID, there are open solutions for solving the issue of having different logins for all of the sites and services we use. The problem with open identity systems in the Ecommerce world is that the identifying characteristics of a user in current implementations is shallow, providing basically a “yes, this person has an account” answer to “who is this user?”. This is where new X.commerce identity is trying to change identity. By leveraging off of the massive user Ecommerce information of PayPal and eBay, open Ecommerce identity is now a valuable source of real user data. Using buying and selling history, user ratings, profile identifiers and a vast array of different user data, X.commerce identity is able to define “trust levels” for a user who signs in to your site and provide solutions for easy, secure identity and payment. In case you haven't noticed, grid systems are everywhere in web design and development. They are becoming a must for prototyping websites because they offer tremendous flexibility and control especially on websites that require multi-column layouts such as magazine or newspaper style websites. In addition, Grid System, which often come as CSS Frameworks, offer many advantages such as cross-browser compatibility and browser resets. In this sessions we will go over the basics of grid system and show you how you can use them on your next website project. We will focus on the 960 Grid System which is one of the most popular ones out there to demonstrate how they work and how you can start taking advange of it. Grid System come in a variety of flavors and specifications. The come in a way of CSS Frameworks and offer more than just the grid system. We will look at how the Zurb's Foundation framework can save you hours or hour and frustration when prototyping or designing a website. Come join me, this is a session you don't want to miss. Basic knowledge of CSS is required to be able to follow along. There is a large number of CMS available on the market. Anything from WordPress, Joomla, LifeRay, DotNET Nuke, etc. Drupal is quickly becoming the CMS of choice by the private as well as the public sector. Websites such as the WhiteHouse.gov, The Grammys, Warner Brothers, Earth Day, Twitter's Development Website and thoursands and thousands more have one thing in common, they are all powered by Drupal. Come join me in this introduction session to Drupal and I will show you how to quickly develop a fully functional website that offer a robust content management system, user authentication with roles and permissions, news creation system, friendly URLs for SEO purposes and more. All of this completely out of the box without writing a single line of code. In addition, I will show you how to enhance your website by using free contributed modules and themes. We'll change the look of the site by applying one of the thousands of free themes as well as implementing a granullar content access system. This session received great response at the last CodeCamp at USC. Come see why. Whether you are a programmer who needs a little help on turning a normal looking website into a website that stands out above the rest or are a designer who needs to explore the latest features CSS3 has to offer, this session is for you. At the recent CodeCamp at USC, this was one of the hottest sessions. Come join me and see why. Together we will design (live), a visually appealing website that offers beautiful typography, great use of color, texture and white space. BONUS: To put it all together, we will be using the 960 Grid System (http://960.gs). Grids offer the ability to rapidly prototype a website that otherwise would take you hours or days put together by hand. You will learn how to use a grid system to built a cross-browser compatible website layout. Believe it or not, we covered all these topics at last Code Camp. You don't want to miss this sessions. Basic knowledge of CSS is required to be able to follow along. Please download my slides from last CodeCamp so you can see a preview of what we will be building. PHP5.3 introduce us to lambdas. But, wait, didn't we already have that with PHP5? What was create_function() about after all? What is the difference between a lambda and a closure or is there any in PHP? Come and explore with me these and other questions in an adventure to discover the truth about lambdas in PHP. The presentation touches on the origins of the lambda and its implementation. Far greater emphasis is on live code demonstrations of lambdas (and closures, too!) as well as in-depth discussion about the code. Even if you only know about anonymous functions in a Microsoft context, you'll still be able to follow along and add to the conversation! We start by taking audience suggestions on a typical programming story (such as a simple game or problem), and the participants decide on which story to program. During the dojo everyone takes a turn coding using Agile and Extreme Programming practices such as Pair Programming, Test Driven Design, User Stories, and Story Test Driven Development. This is lead by an expert facilitator, so usually no one gets hurt. Please bring a safety helmet. Everyone works together toward a common goal and we reflect on our results at the end. Each time it is a unique experience with a lot of learning, and a lot of fun. Mostly fun, not that much learning, I guess. Still, join us and I guarantee your money back if not satisfied. When the process they follow is not giving the results they need some project or product managers (or team leads, developers, or whoever) choose to attempt an Agile approach, yet they are frustrated as they continue to get the same bad results as before. They struggle with the same old problems – and typically have introduced some new ones. We’ll start this session with a quick information gathering exercise where we’ll each suggest a problem we’re having. We’ll pick a few of them as a starting point and see if we can move toward a better understanding of the real problems that need our attention. Asynchronous programming in C# has always been a pain. Data often needs to be passed around in various EventArgs and it's easy to get lost in the flow of execution through a sea of callbacks. It's more important than ever to write asynchronous code and it's about to get a lot easier. We'll look at the new tools and new simplified syntax coming in .NET 4.5 that allow async programming to look and feel more like normal synchronous code and see how they work with Windows 8’s new WinRT libraries. XAML got its start in WPF and has since spread to many other UI technologies, most notably Silverlight. With the upcoming Windows 8, there are changes in store both for the support of existing XAML technologies, and in the new WinRT based framework for Metro applications. I'll give an overview of where WPF and Silverlight stand in the new world of Windows 8 and we'll look at some code for the new Metro XAML applications. One of the most powerful features of ASP.NET MVC is the model binding mechanism. In this session we'll take a very detailed look at how model binding works. We'll examine how to model-bind complex collections using the default binder. We'll also build a custom model binder to handle several common situations. This session will teach you how to get the most benefit out of the binding system and how it can be easily extended to fit any custom situation. Regular Expressions are extremley powerful and every developer should master them. Almost every language supports regular expressions. This session covers how, why and when to use regular expressions and the syntax. This session takes us through the Text Template Transformation Toolkit (T4) and how it can be used to generate documents and code on the fly. MVC and Entity Framework use T4 templates and we'll look at how to customize the code they build by providing custom templates. T4 can significantly reduce development time and maintenance costs. Have you ever heard of the Getting Things Done organizational method? If not you can check out the over view at http://en.wikipedia.org/wiki/Getting_Things_Done and then come to this talk and see how I and others have implemented it for the unique working style of developers. Law of Attraction for Developers – The secret behind “The Secret” and "Think and Grow Rich"
Ever wonder how when you bang your head against the wall on an “unsolvable” coding problem that the solution continues to escape you; however, if you “believe” that a solution exists that it somehow pops into your mind or it somehow reveals itself as if by magic? There are things that you can do with your thoughts and intention that shape this - not only with your development projects but in all areas of your life. > Does Boost have hex/unhex() that support std::string? > I can't find them and I think they'd be quite handy to have. We will take this simple request apart, look at it from all angles, and write a generic solution. Suggested audience: Experienced C++ programmers.